FORMER Warriors captain Willard Katsande has been recalled to the Zimbabwe senior men's national team ahead of their Africa Cup of Nations (Afcon) qualifier against Liberia next month. Katsande, who retired from international football after the 2017 Afcon finals in Gabon, announced that he was coming out of retirement and Warriors coach has immediately roped the midfielder in for the crucial Group G match. The Kaizer Chiefs midfielder was named in the 21-member squad to face Liberia in the 2019 Afcon qualifier in Monrovia on November 18, as Chidzambga bids to secure a ticket to the June finals in Cameroon. 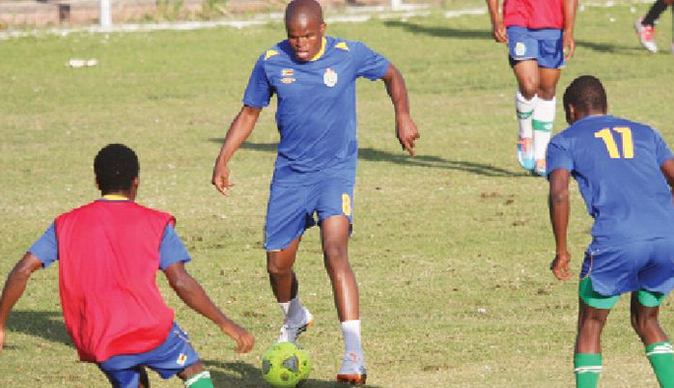 Katsande, who has 19 caps to his name, and has scored three goals since he made his debut in 2010, returns at a time the Warriors, who lead Group G with eight points, need at least a draw in Monrovia to qualify with a game to spare. With midfielder Danny Phiri having suffered an injury during warm up for the clash against the Democratic Republic of Congo, Chidzambga has opted for Katsande's experience and expertise at the base of the midfield, where he plays alongside Club Brugge's Marvelous Nakamba. The Warriors also welcome back captain Knowledge Musona, who missed the previous match against DRC at home after he was sent off in the first encounter in Kinshasa. Musona, a huge influence in the team, scored the insurance goal in DRC after Ronald Pfumbidzai had opened the account to edge their more illustrious opponents 2-1, to remain on top of Group G.
The Warriors captain, however, watched the return match from the terraces as he served his suspension. France-based Tino Kadewere, who has not played a part in the qualifiers due to injuries, was named in the squad together with South Africa-based Evans Rusike, who missed the last two matches, also out because of an injury. However, Chidzambga will be without England-based defender Tendai Darikwa, who will be serving a one-match suspension for picking two yellow cards in previous matches. Darikwa played a pivotal role in both encounters against DRC on the right back position. But defender Eric Chipeta has been left out of the squad, while Czech Republic-based Costa Nhamoinesu and China-based Nyasha Mushekwi remain out. Should the Warriors draw or win in Liberia, they will book a ticket to the finals for the second successive time. Zimbabwe will then round off the campaign with a home clash against Congo-Brazzaville next year. Zimbabwe have so far collected eight points, while DRC are on five, with Congo-Brazzaville and Liberia and tied on four each.